The common misconception that many new MMA Fighters and Athletes have is that just having the ability and endurance to run 5 miles a day will somehow translate in the MMA fighter's ability to shave the proper MMA conditioning they will need to fight in the ring. Anerobic Endurance - The ability of your muscles to perform without oxygen. Anaerobic Threshold - A level of exercise intensity beyond which the body cannot consume oxygen fast enough to support the energy demand. As a result, lactic acid begins to rapidly accumulate in the working muscles, hastening exhaustion. Vo2Max - the maximum capacity of an individual's body to transport and utilize oxygen during physical activity. To improve your threshold you need to be perform activities at a VERY high intensity for up to 2 minutes. When performing these activities, your body learns to cope with increase lactate levels. Common exerises for increasing your Anaerobic Thershold would be any type of high intensity sprinting (running or swimming), high intensity circuit weight training, bodyweight conditioning exercises, high intenstity grappling and sparring. When training to improve your Vo2Max - longer periods of exercise at a lower intensity. Swimming is an excellent way to increase your Vo2Max. Hard sparring and fight training: If the training is brutal and hard, the fight is a welcome release. Challenge yourself outside the cage so that the MMA fight is easy. Fight visualization - imagine everything about the fight, from getting your hands wrapped, walking out, hearing your music, entering the cage, touching gloves, the initial exchange, the techniques you before, and you WINNING the fight. Start small - enter grappling or boxing fights first, this will prepare you for the big show. The best way to condition yourself for a fight is to condition yourself according to the rounds and time of the fight. If you fight is 4 minute rounds with one minute rest, perform your exercises non-stop for 4 minutes, take 1 minute rest and repeat or go on the next stations. When training for conditioning, it is best to setup stations. You can see that you can mix in or up anything into these workouts. 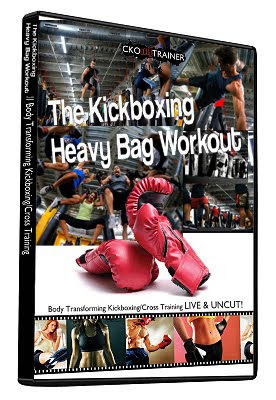 You can just do kicks on the bag one time, you can do all combinations on the bag, you could incorporate dumbbells, a sandbag, a parnter, etc. Get creative. As long as you keep moving at a high intensity pace, you will do well. Michael Andreula is one of the top 5 Pro instructors in the USA.He is amazing and if he really was your own personal trainer, you'd be as buff as a triathelete. He would get results out of you that you wouldn't believe. I've done some of her other workouts, and if done consistantly, there are fantastic results. I don't have too many kickboxing dvds, and seeing that Mike leads this, I had to get it. It's fantastic. 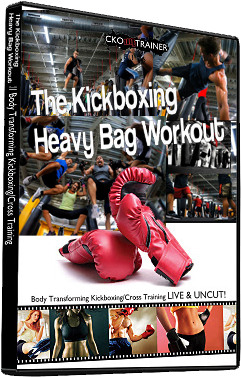 This is mainly geared for beginners in kickboxing and the impact is low and it's easy to follow because the moves are basic. He goes at a fast pace, but this makes sure that you are always burning fat and calories. If you are unsure about posture and your positioning, don't fret - she cues very well. There is also some options for different intensity levels, so it doesn't matter if you are unfit or not. I also like the safety tips they use throughout and the seperate instructional portion of the dvd that's done at the end. 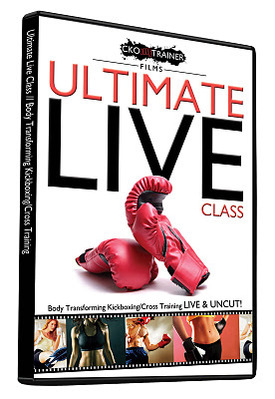 This will really help you learn all the terminology and exactly how each move is done. Mike really knows her stuff. 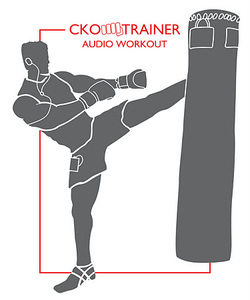 He has done quite a lot of kickboxing workouts in the past because she's good at it, so don't worry - you are in good hands and do this often during the week and you'll get some good results. I love this and highly recommend it. I find it fun too, so the workout goes by quickly. Pick up a copy and see for yourself.